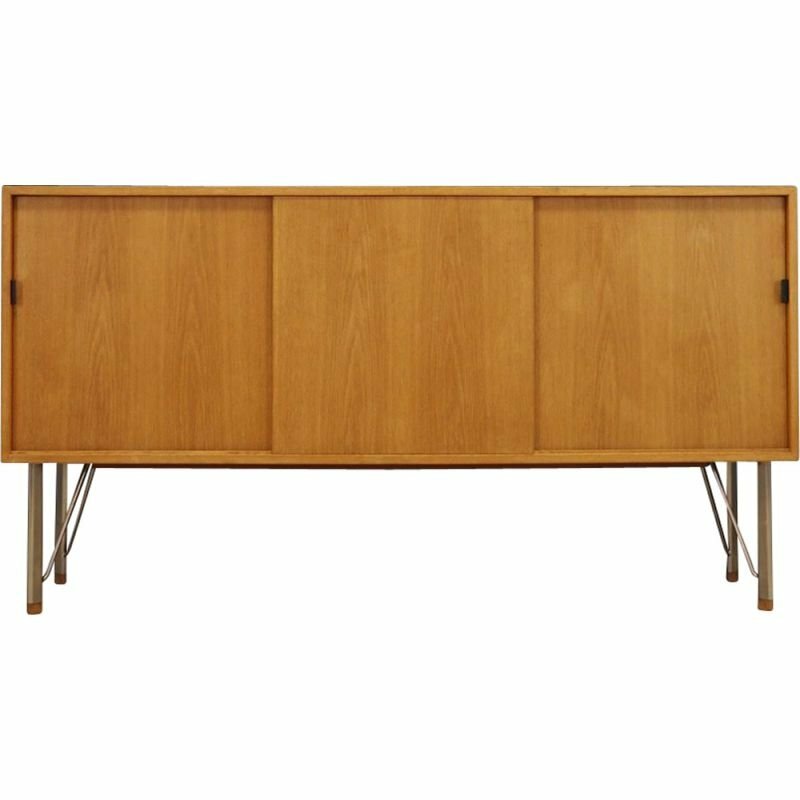 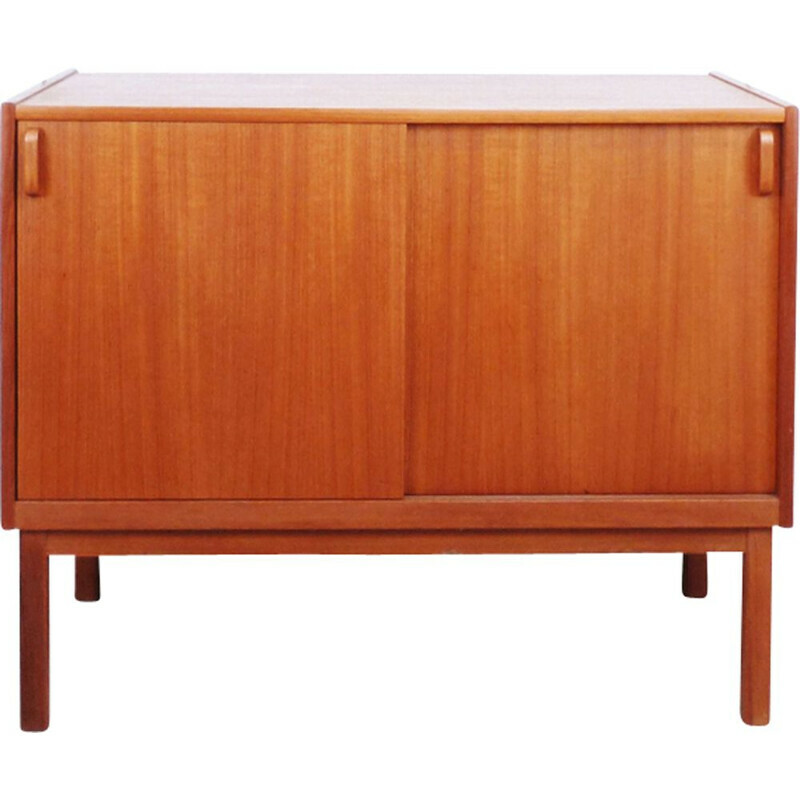 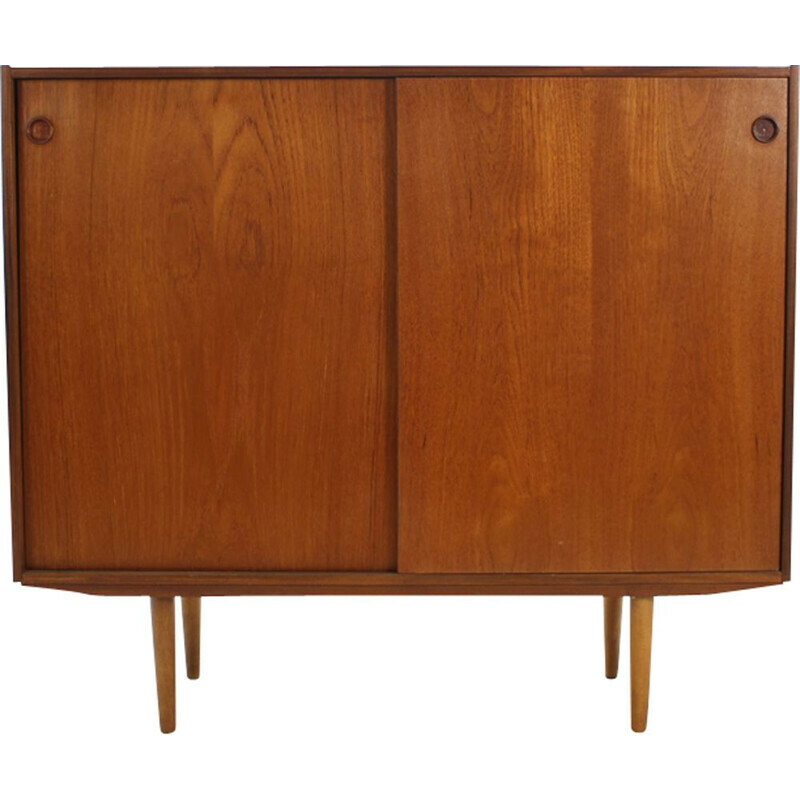 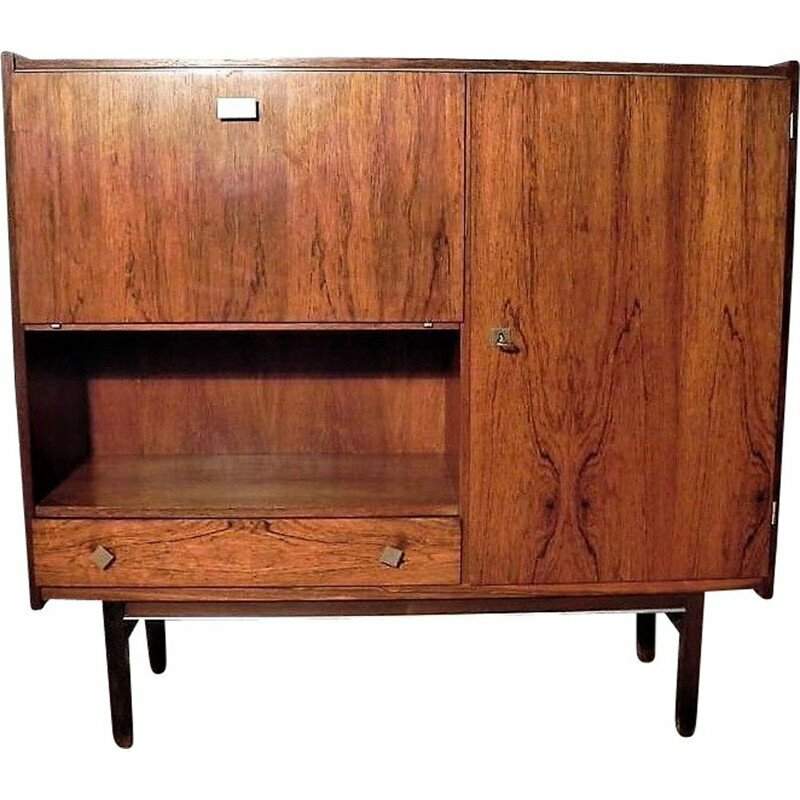 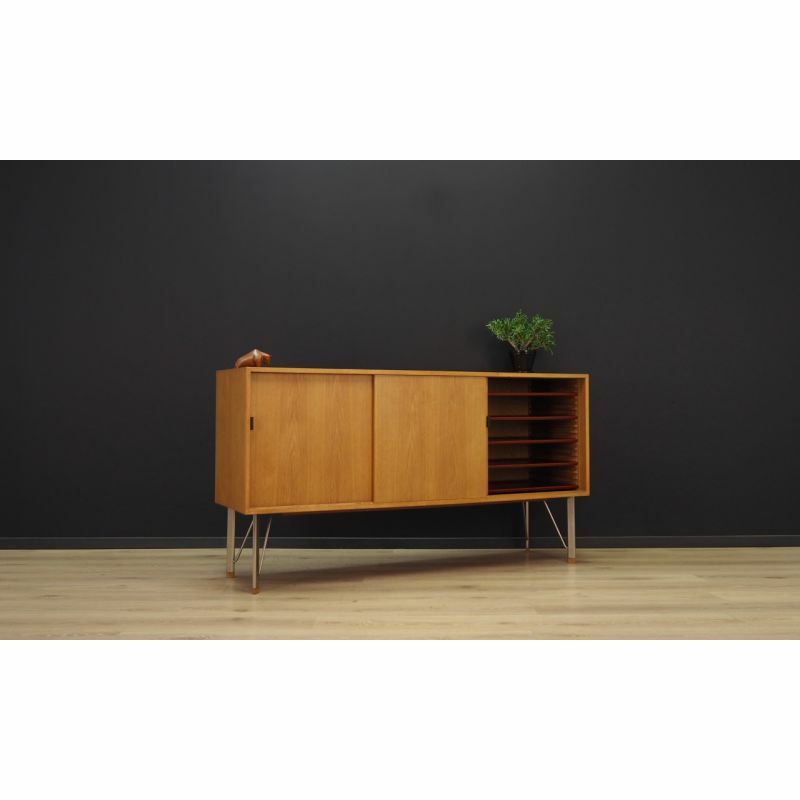 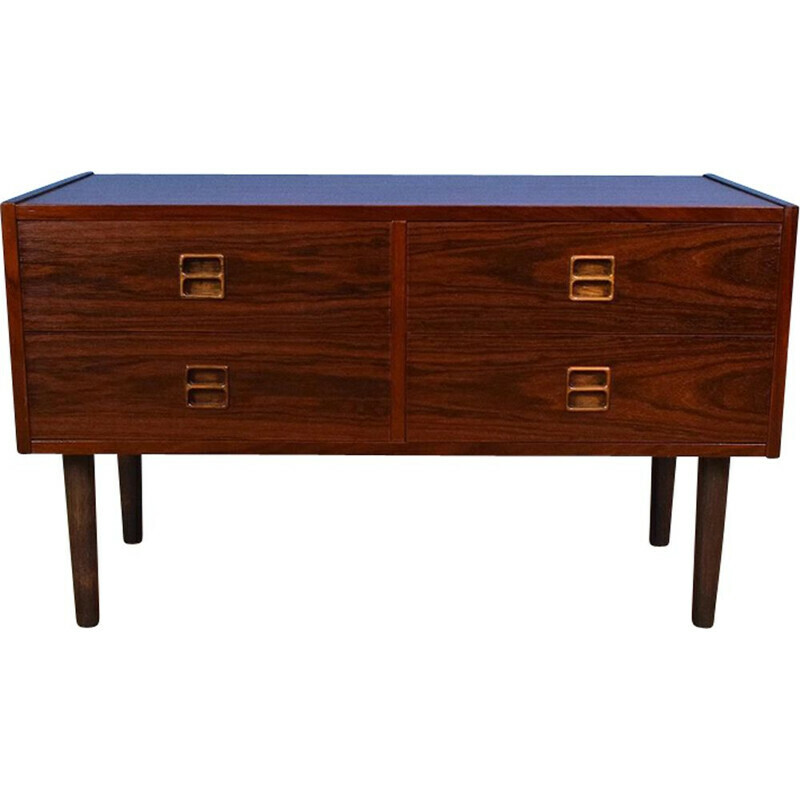 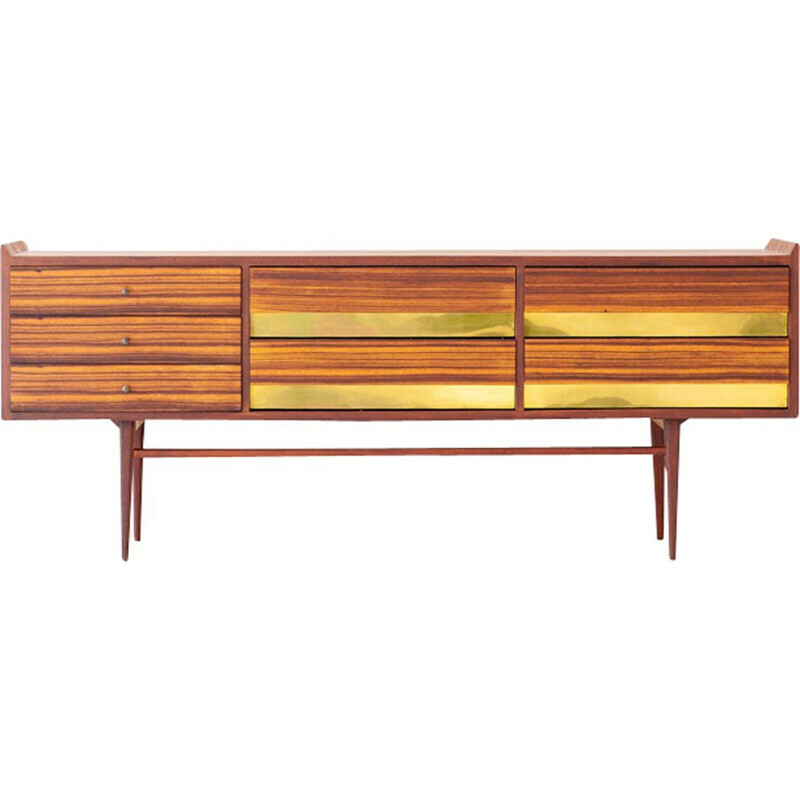 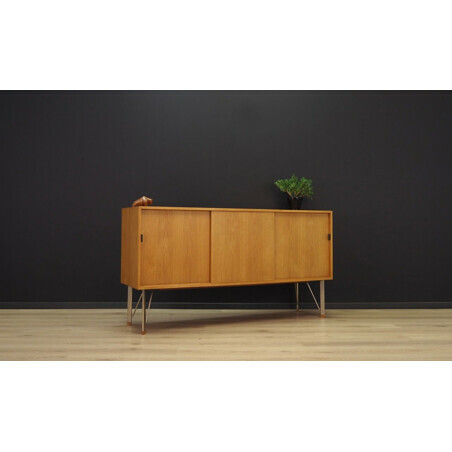 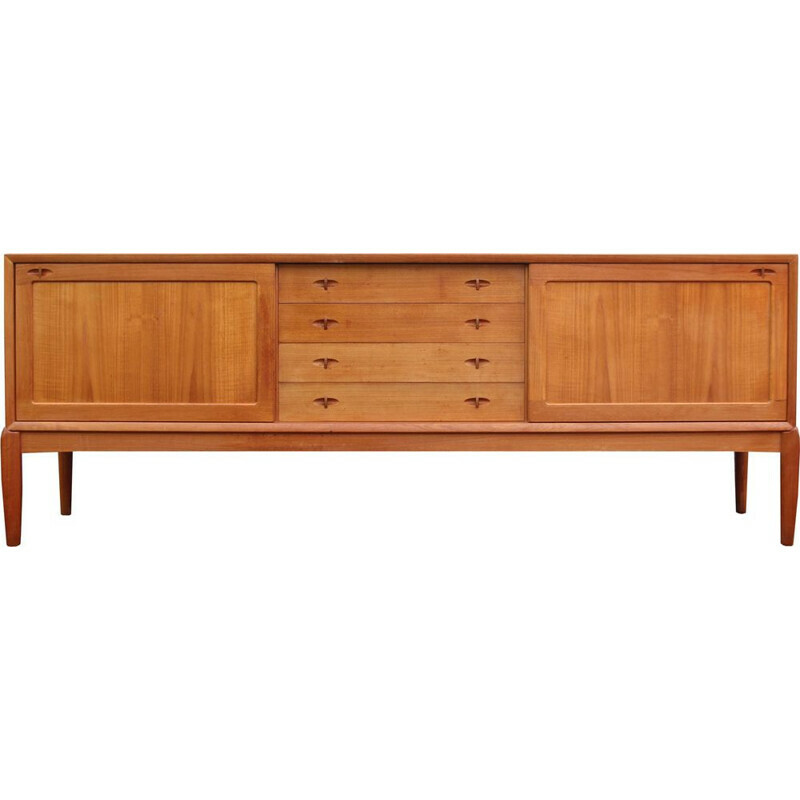 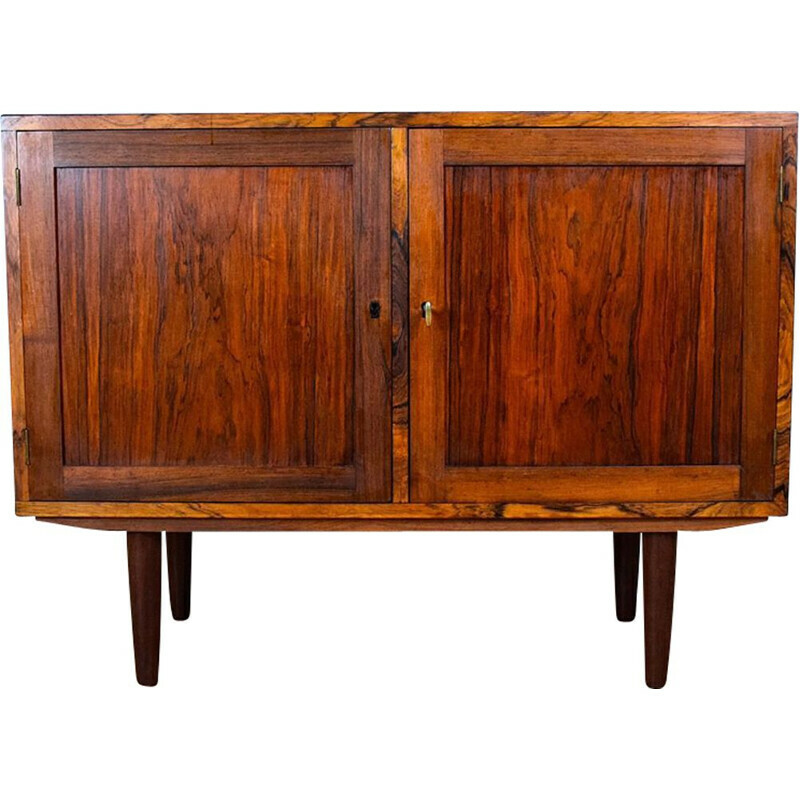 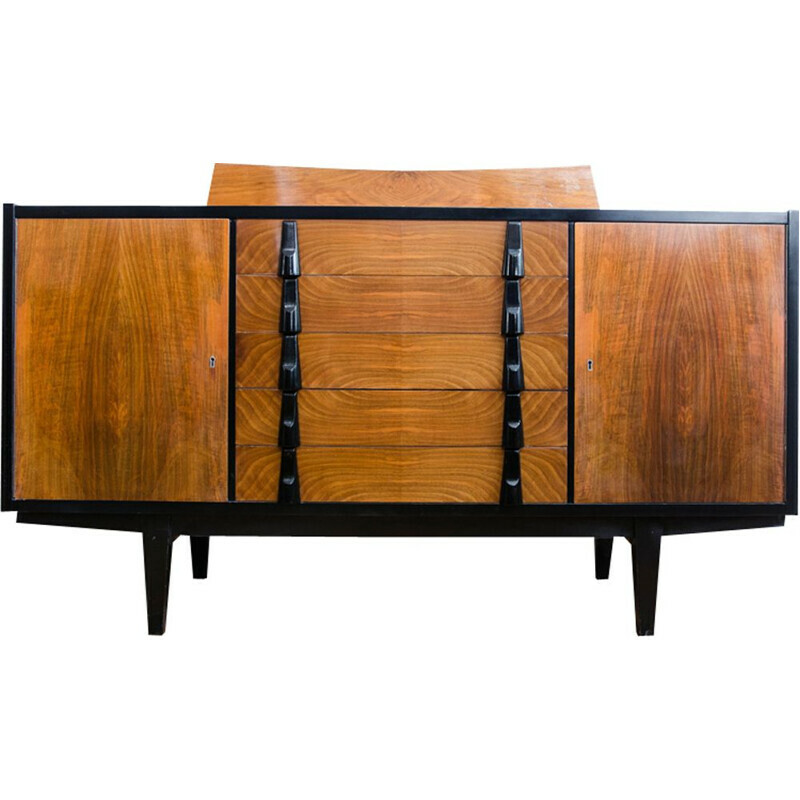 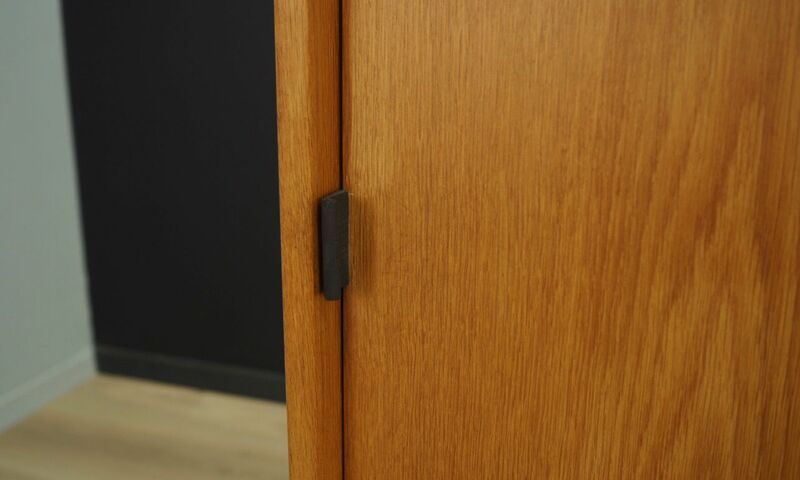 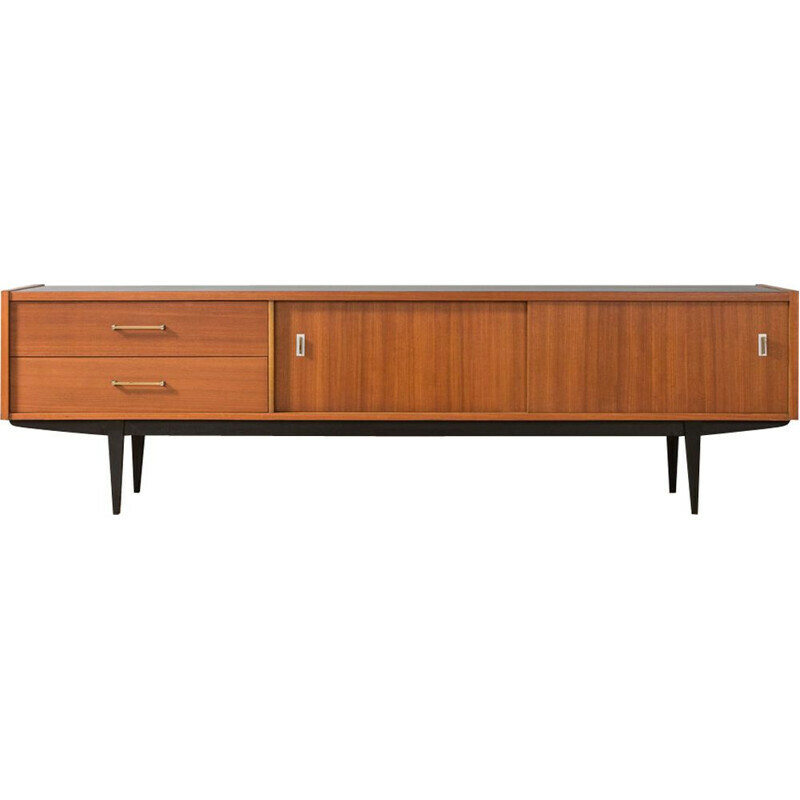 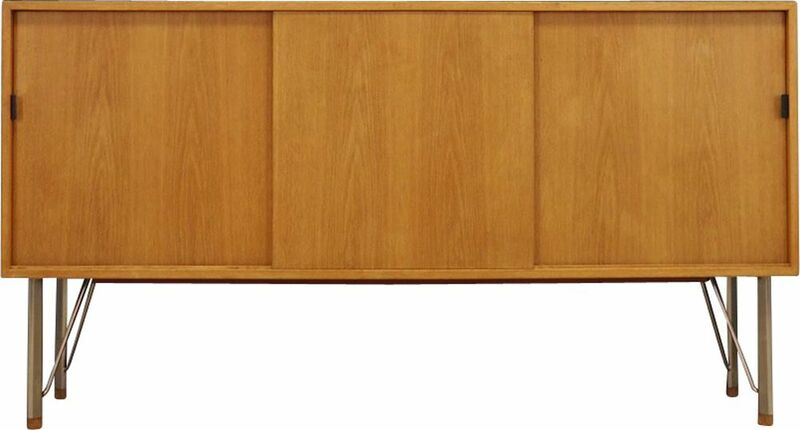 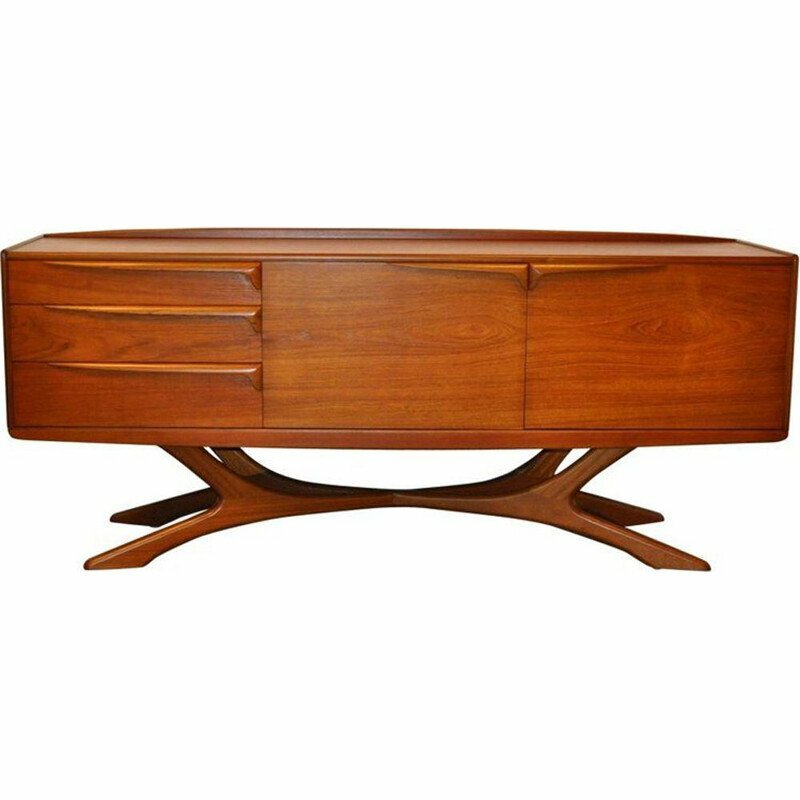 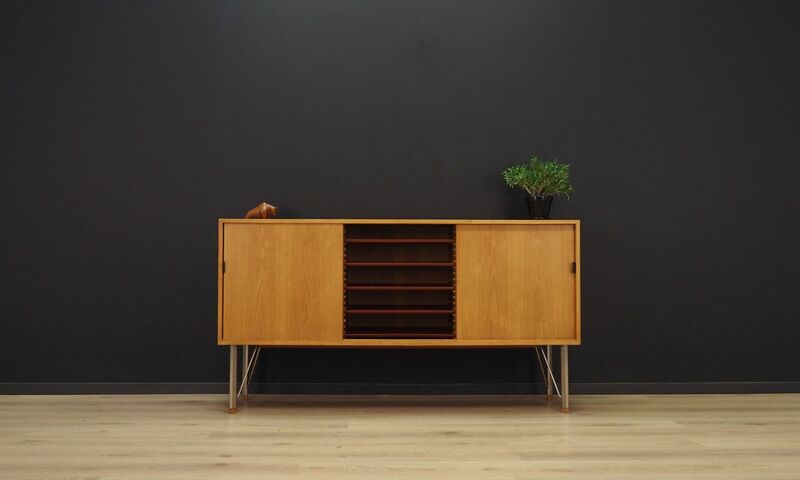 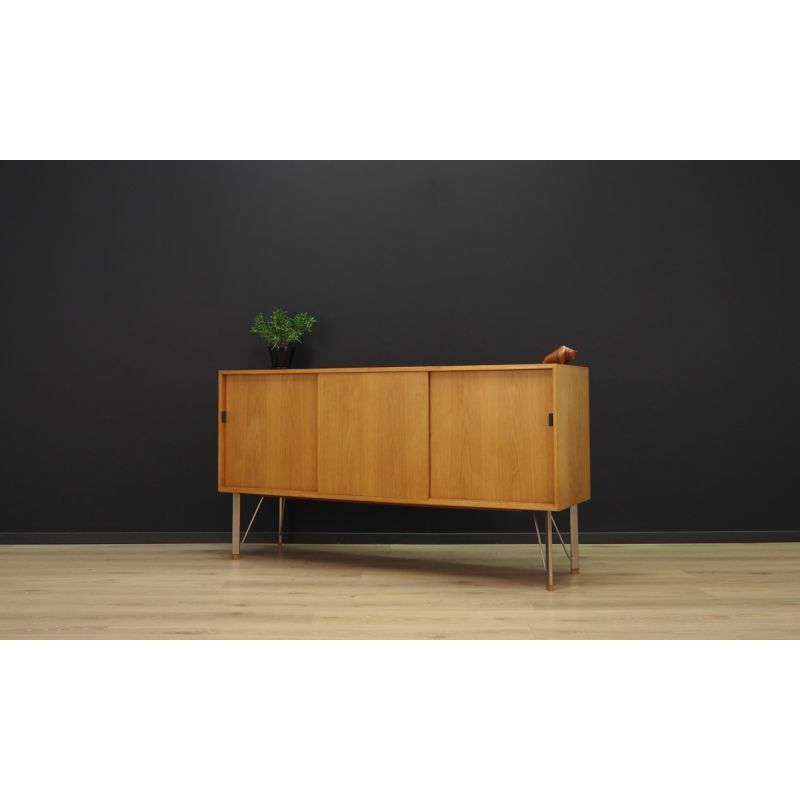 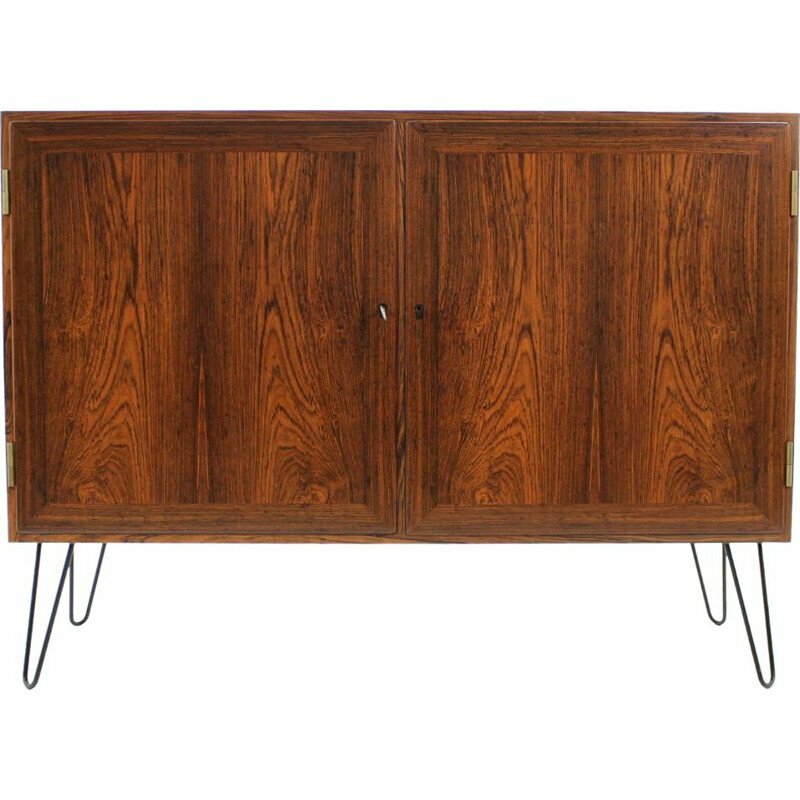 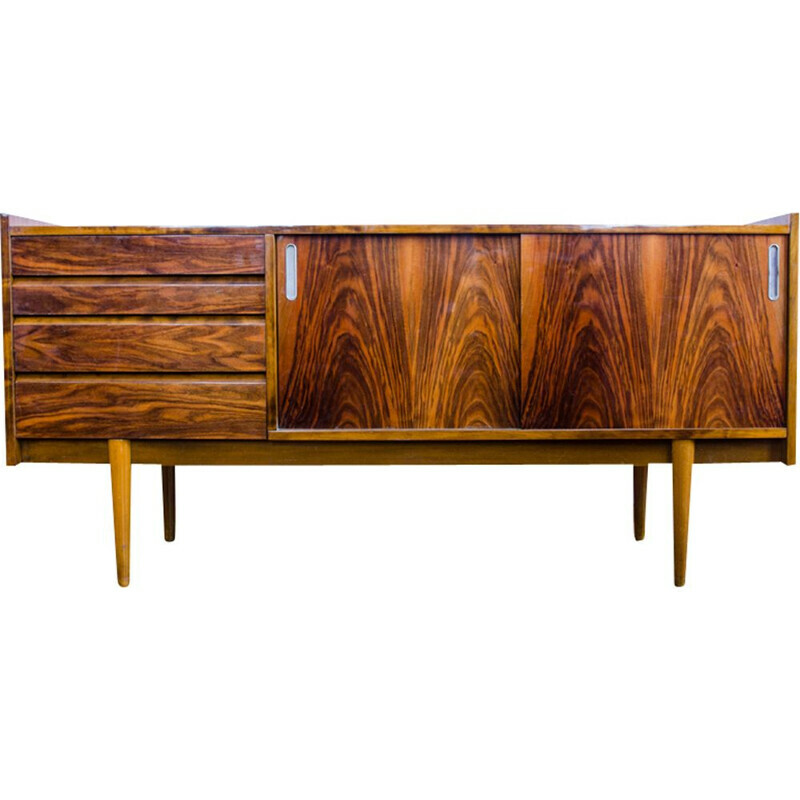 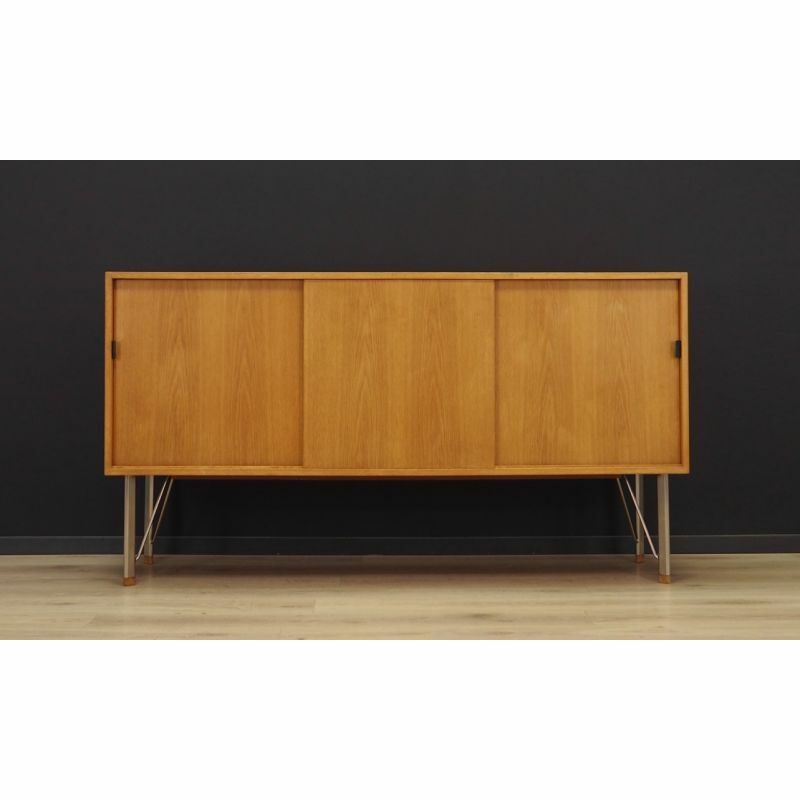 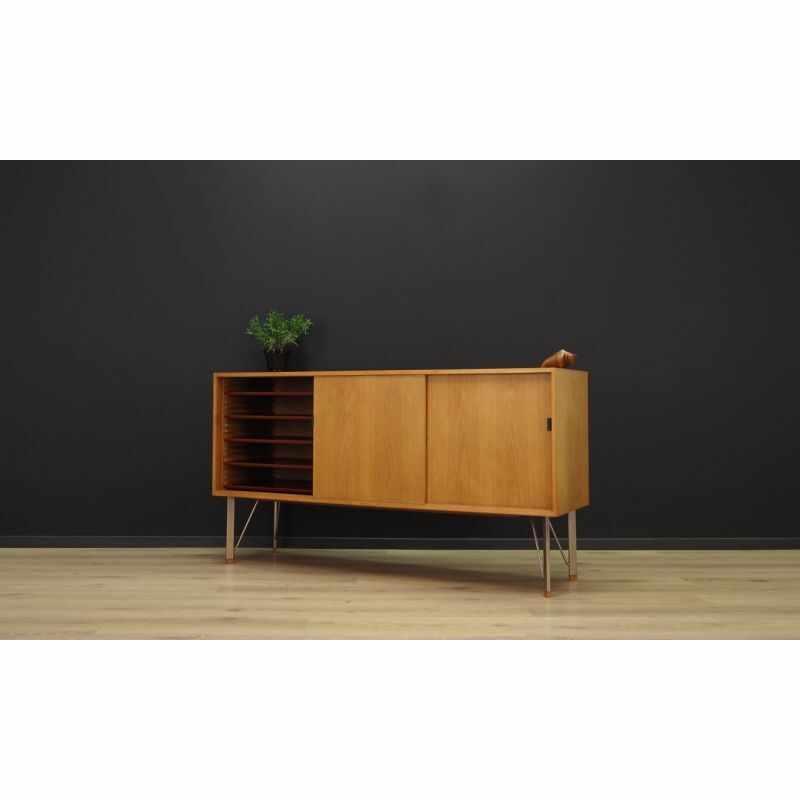 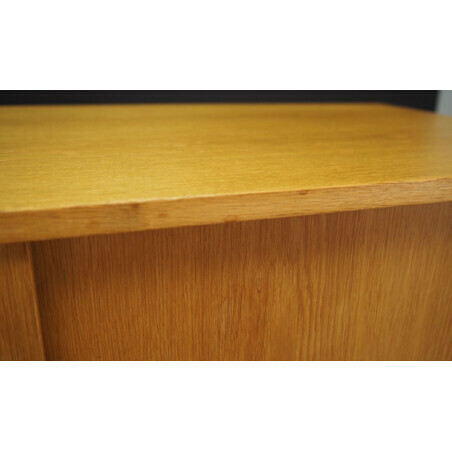 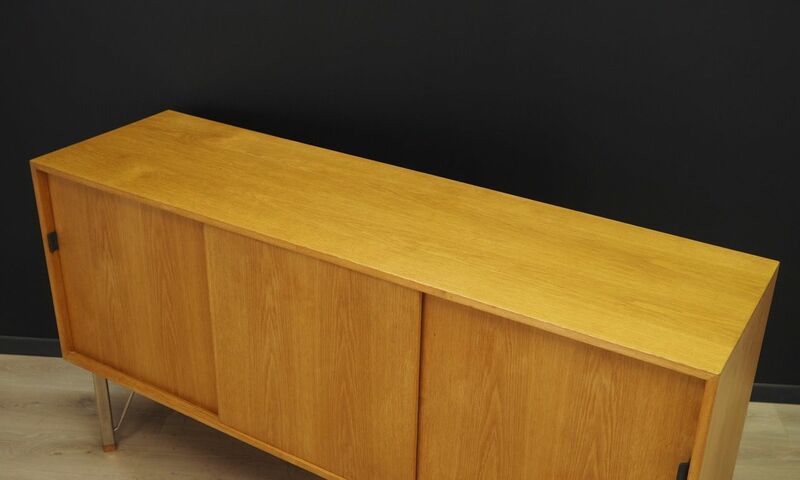 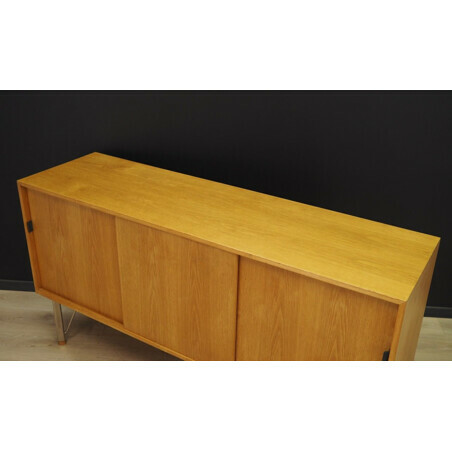 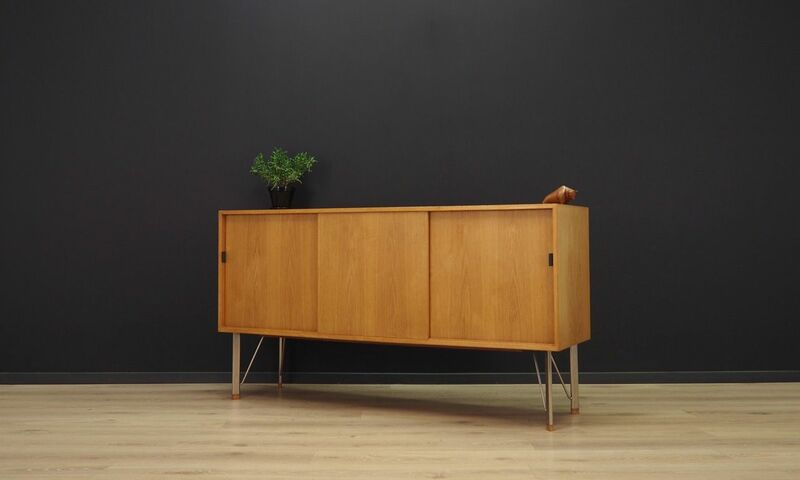 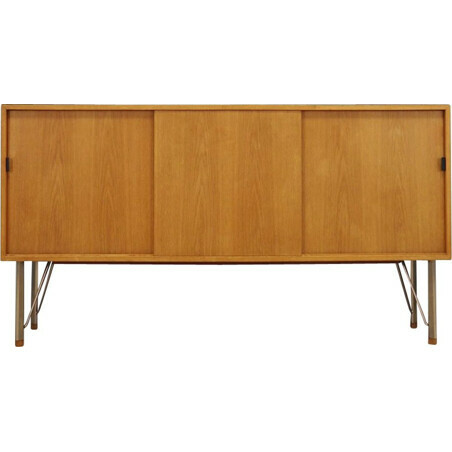 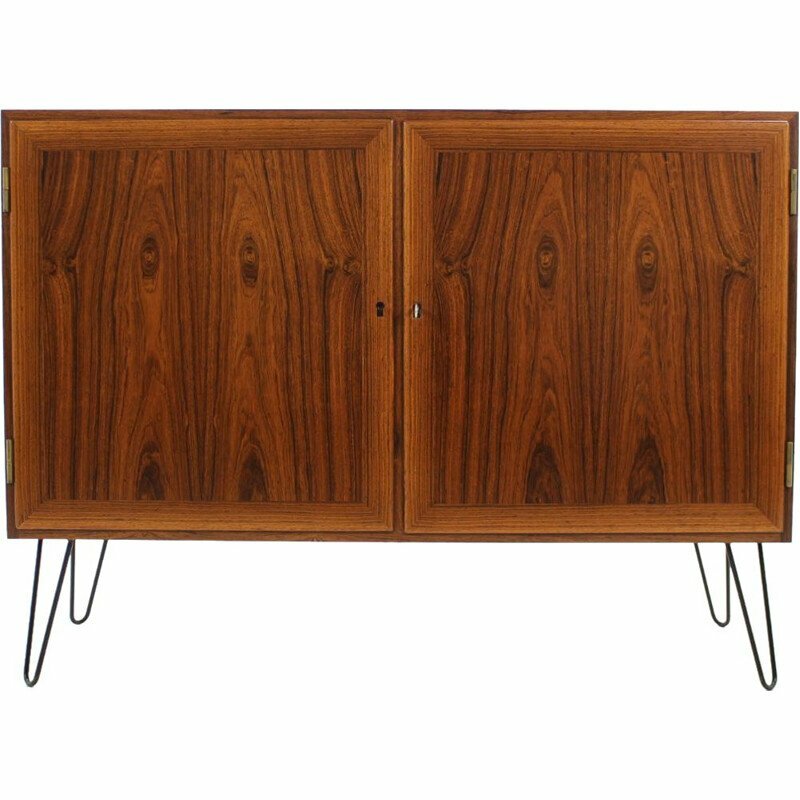 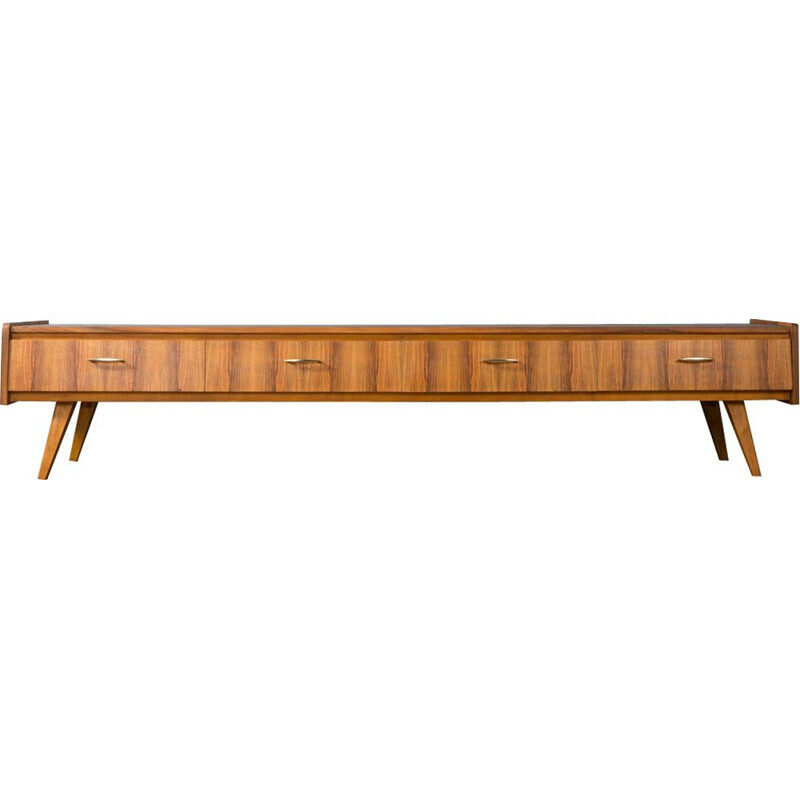 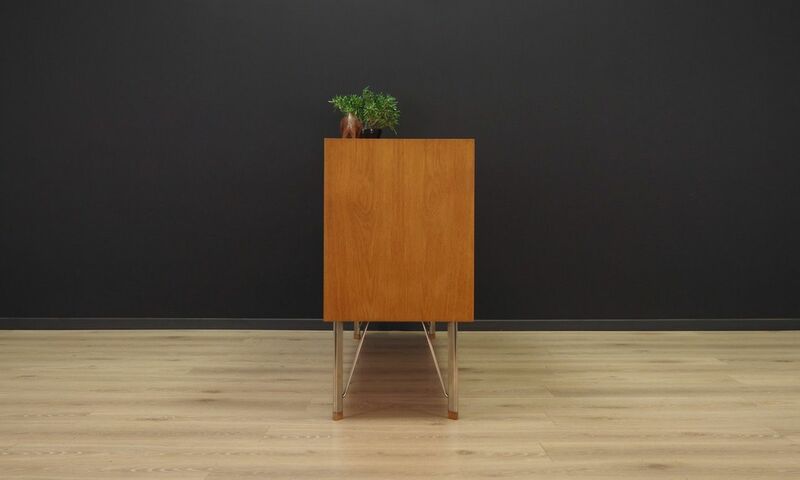 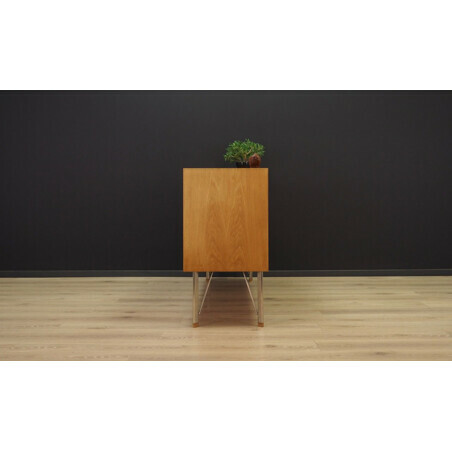 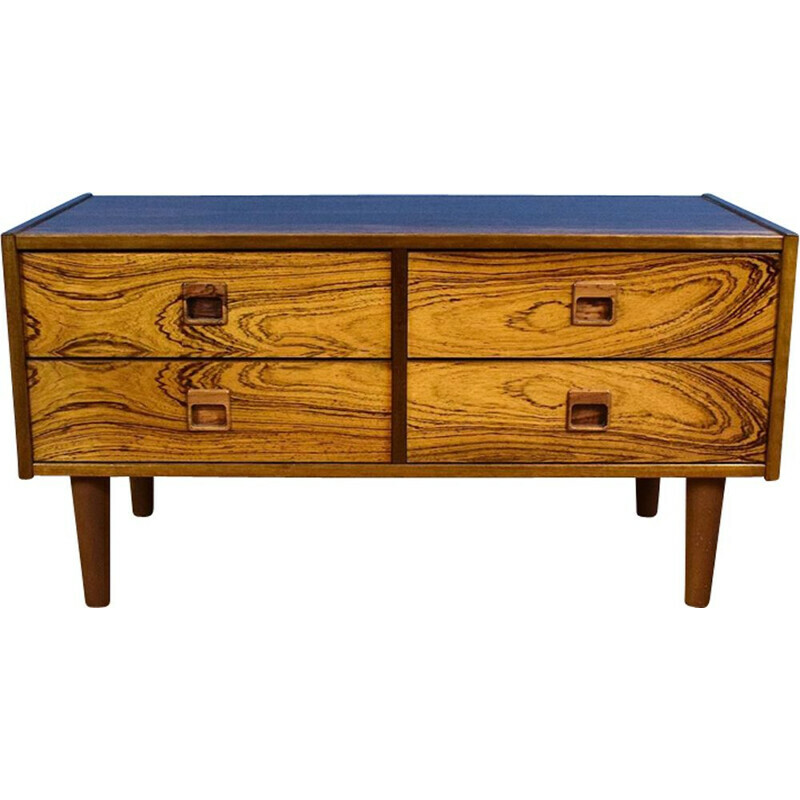 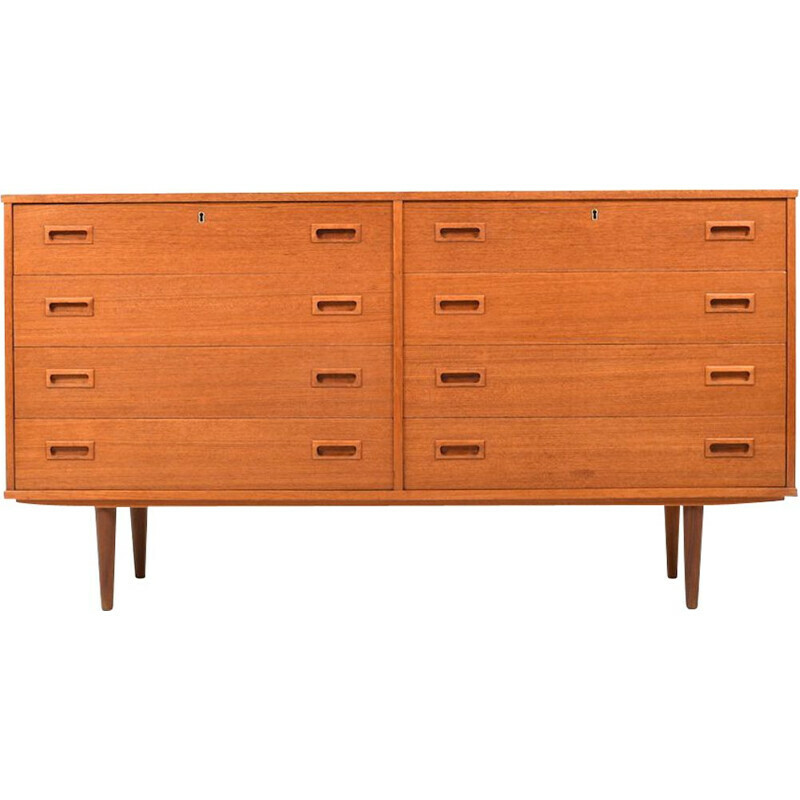 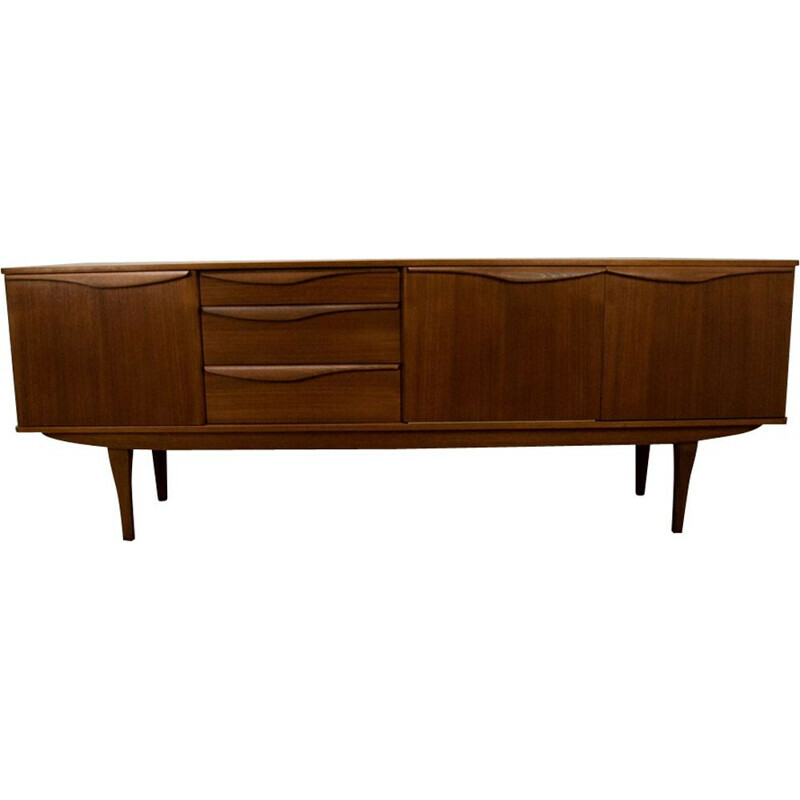 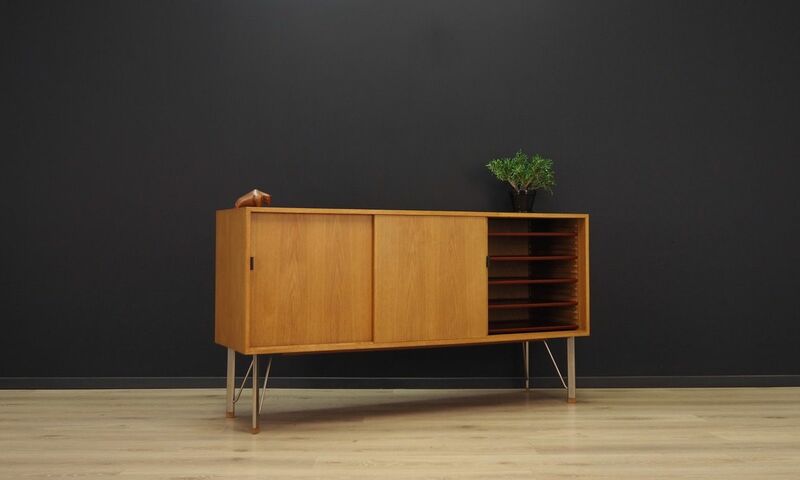 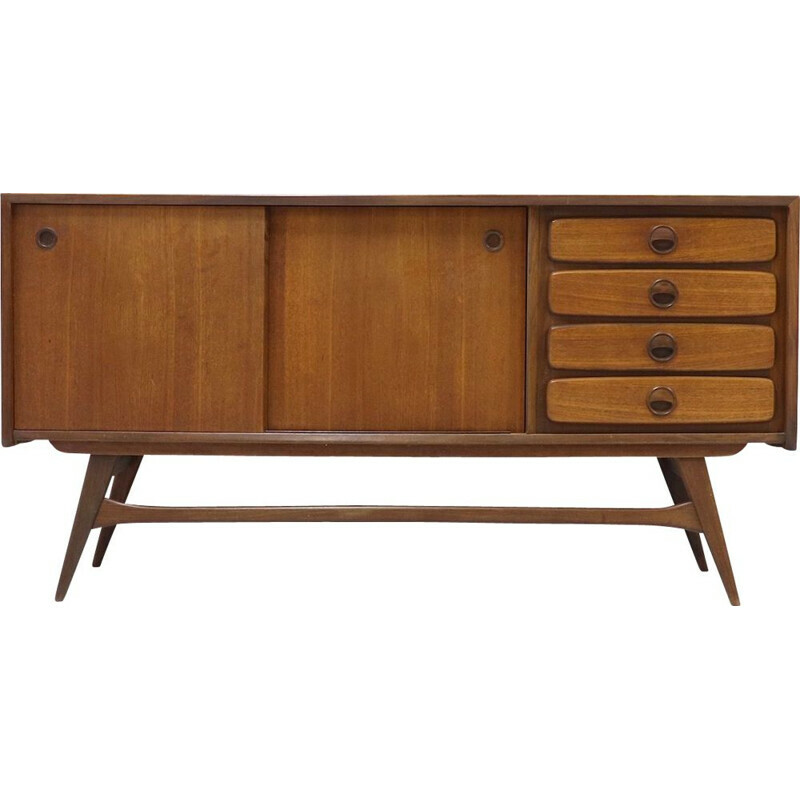 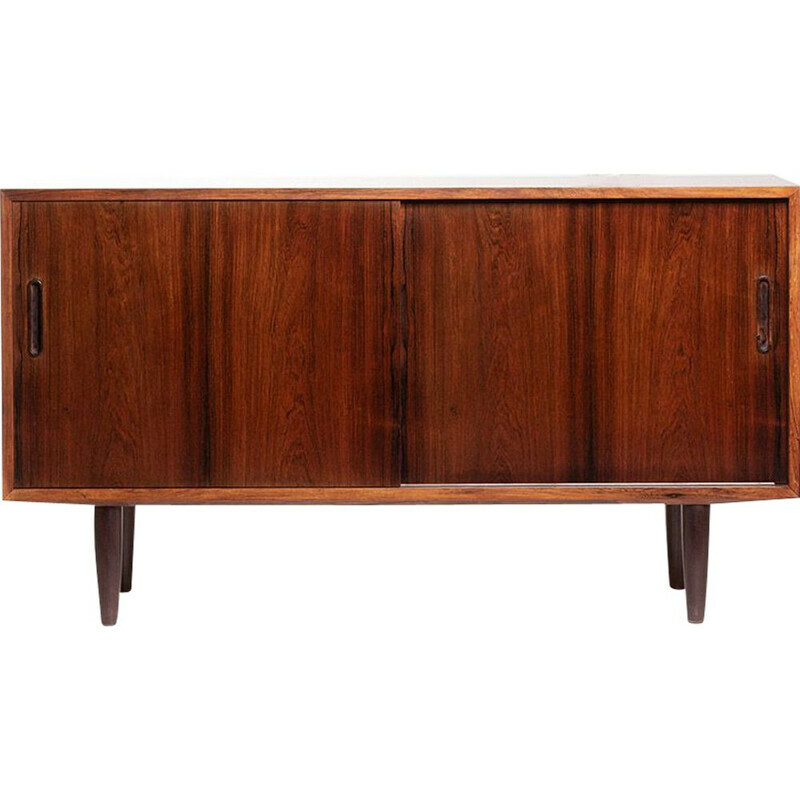 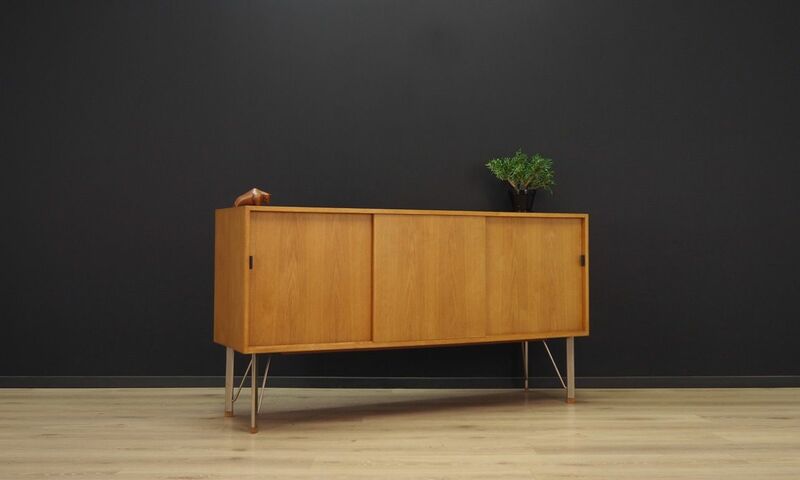 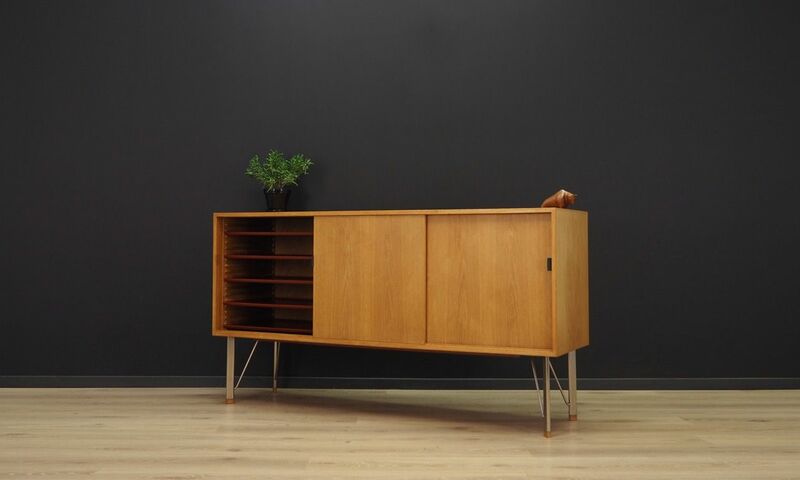 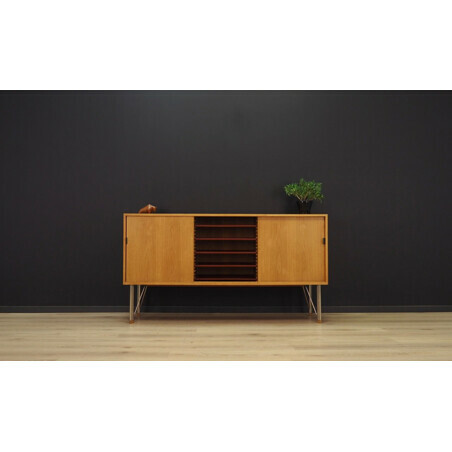 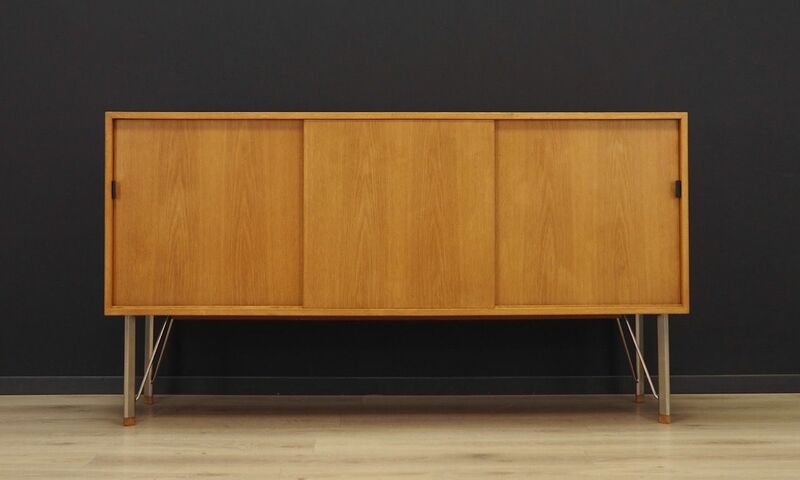 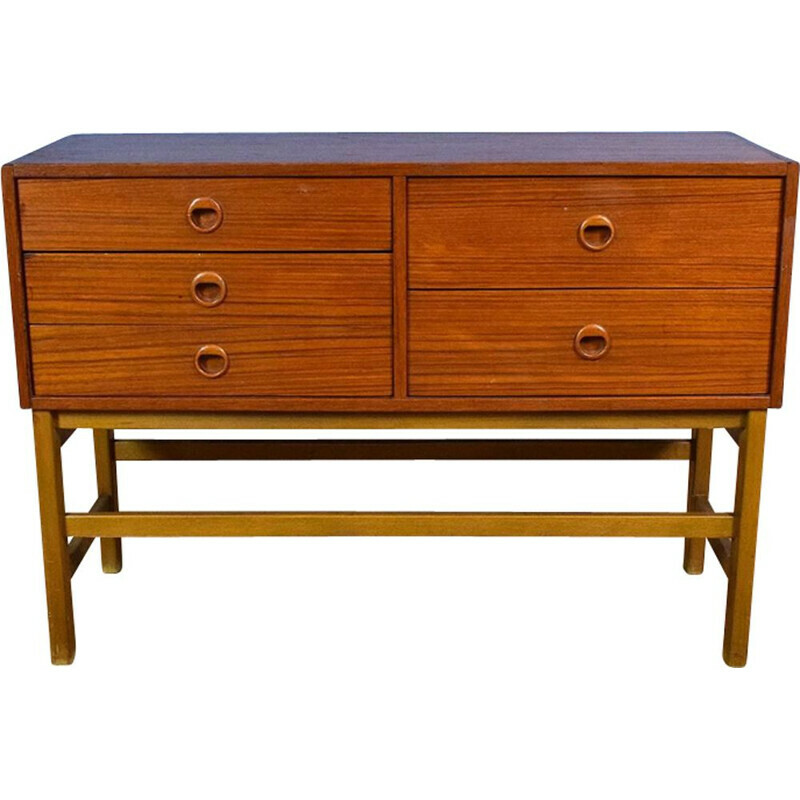 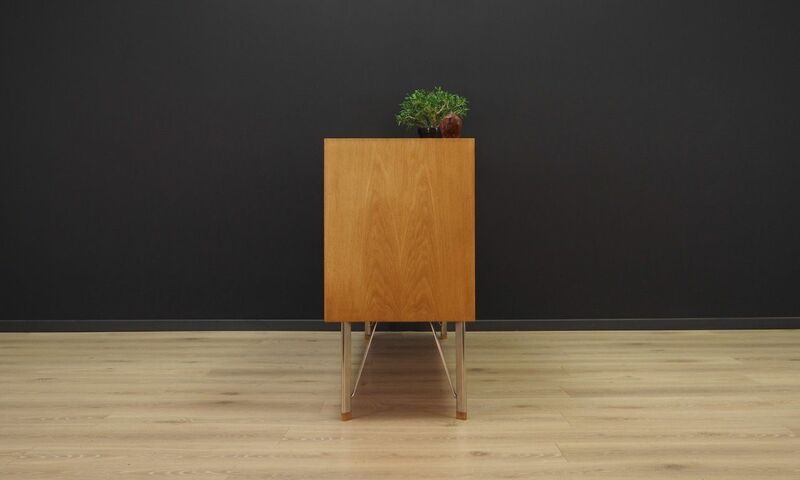 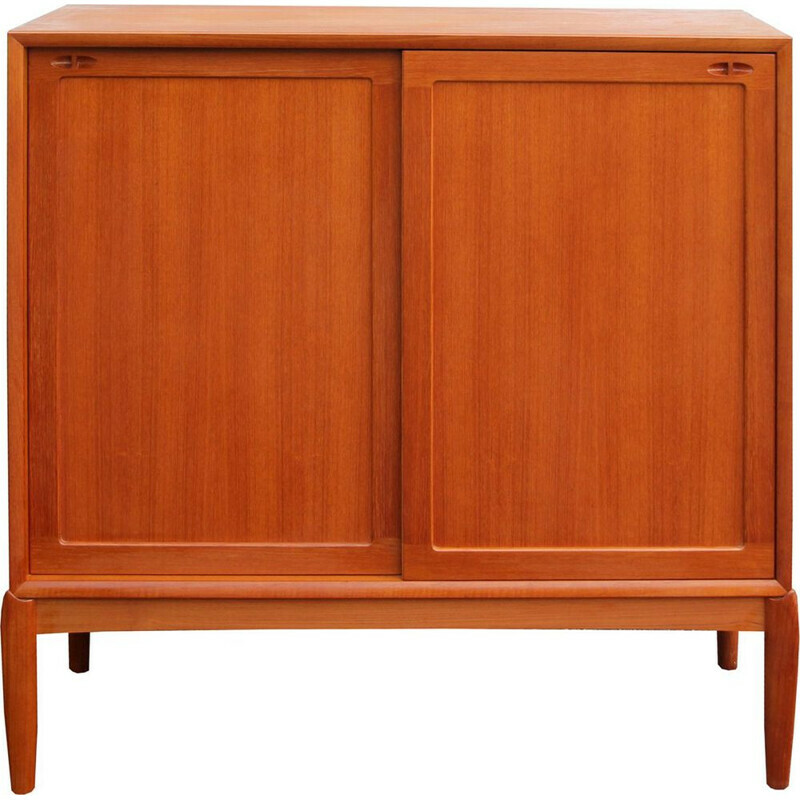 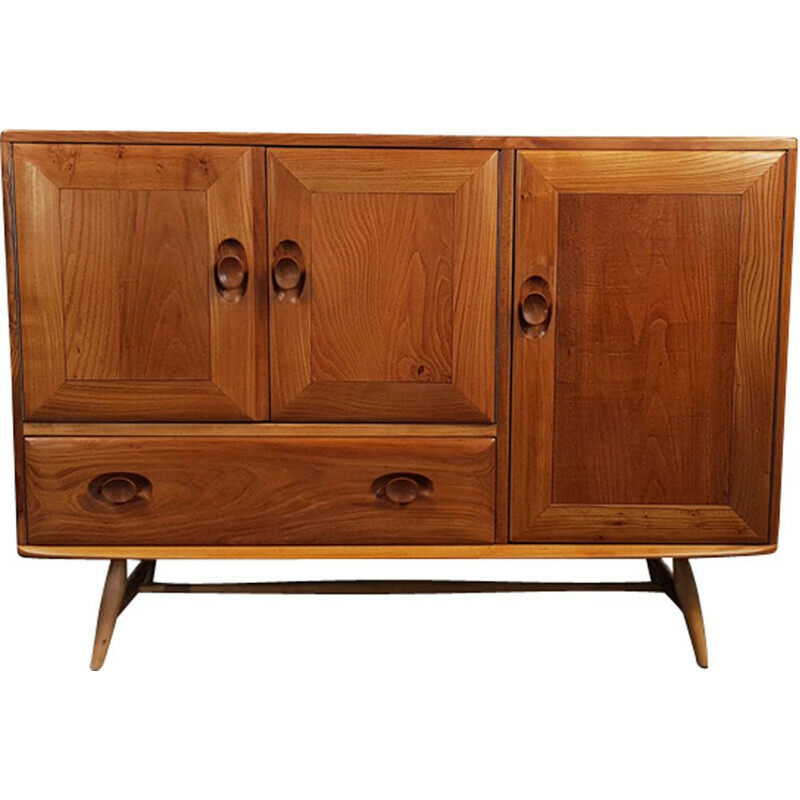 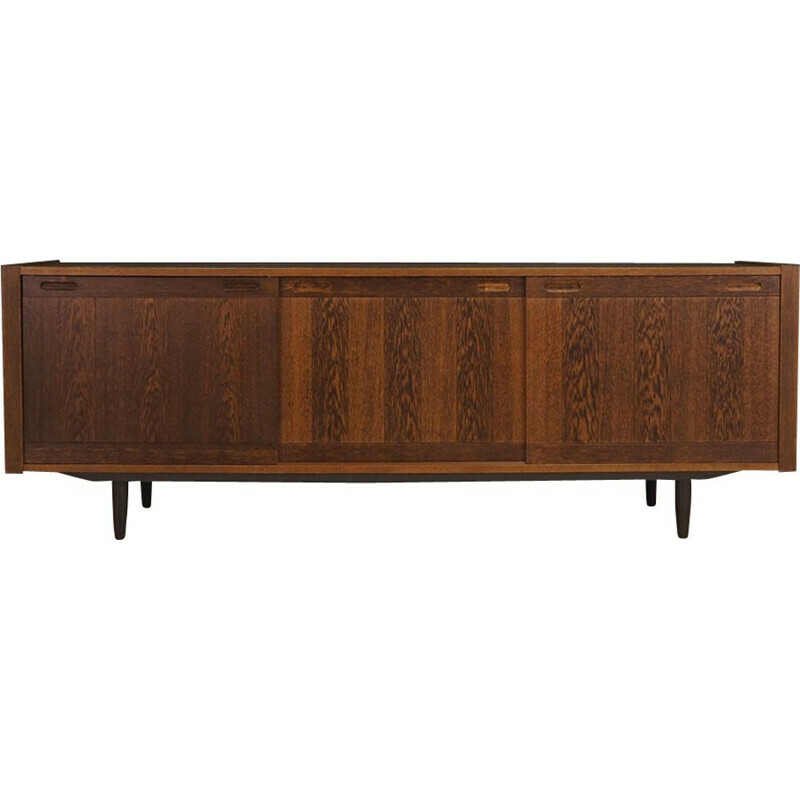 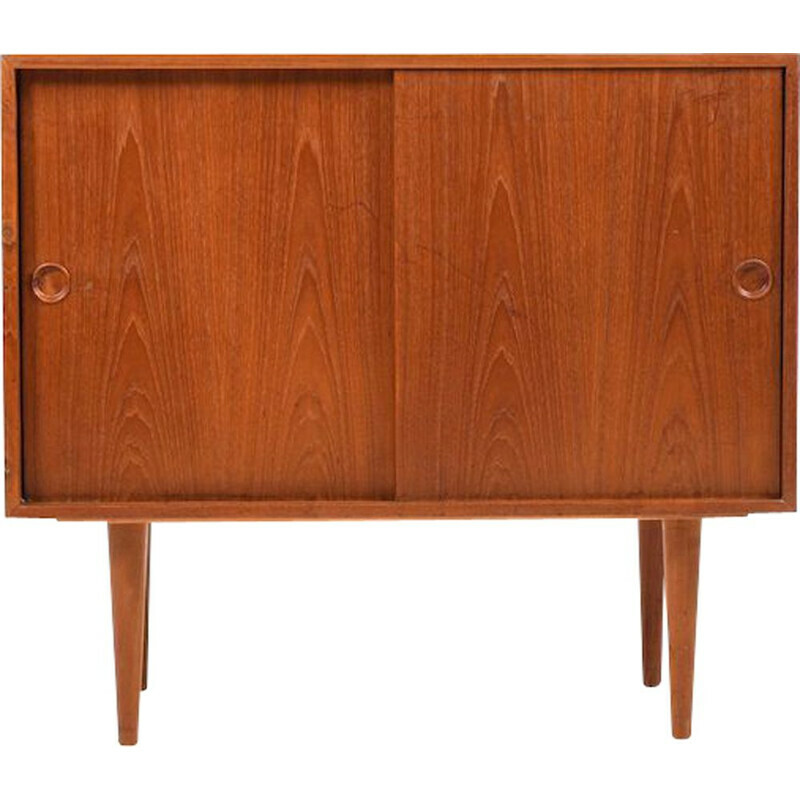 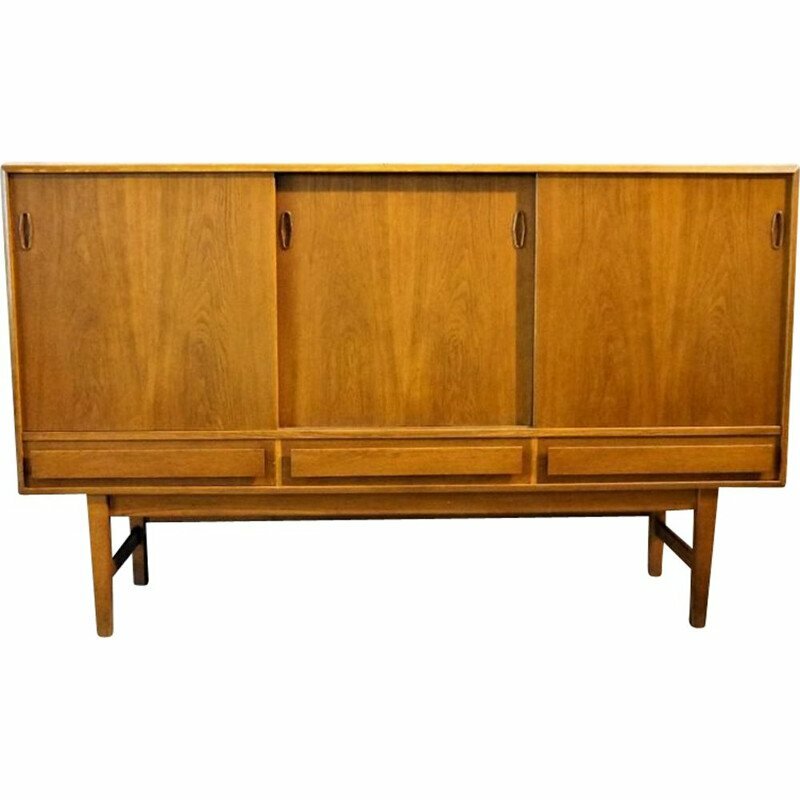 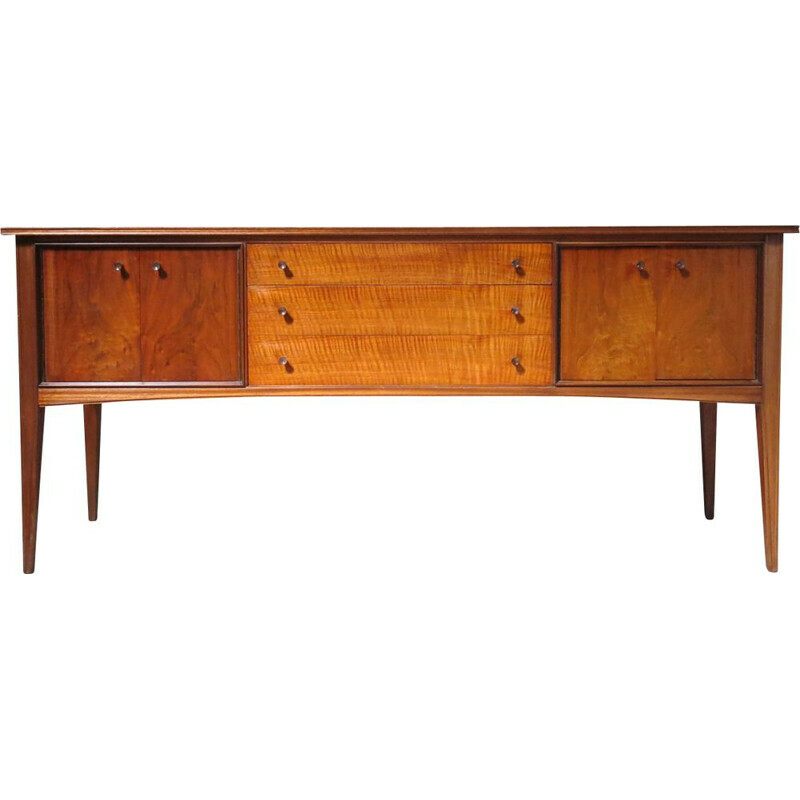 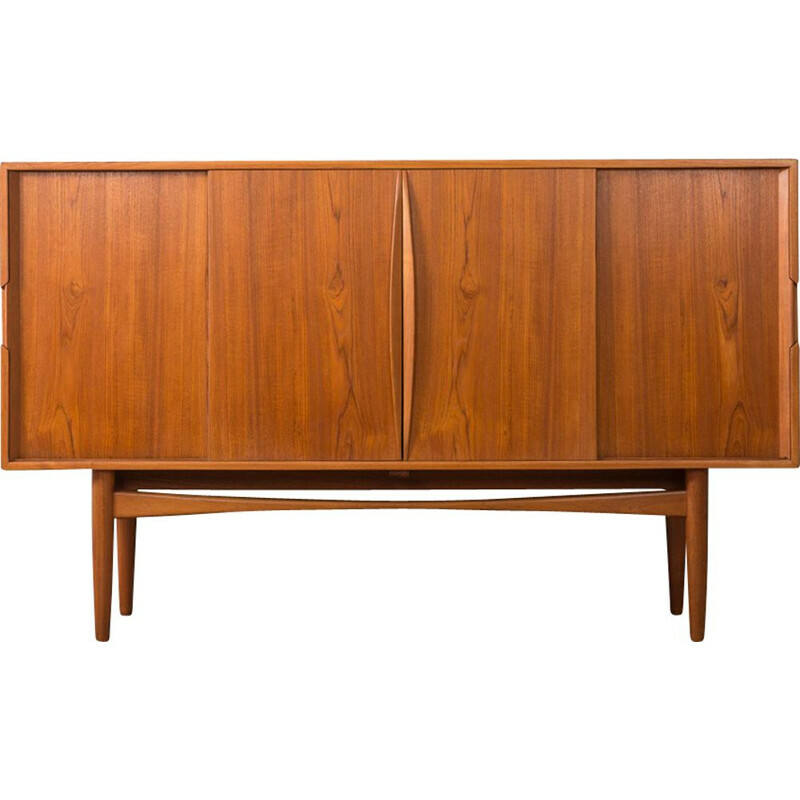 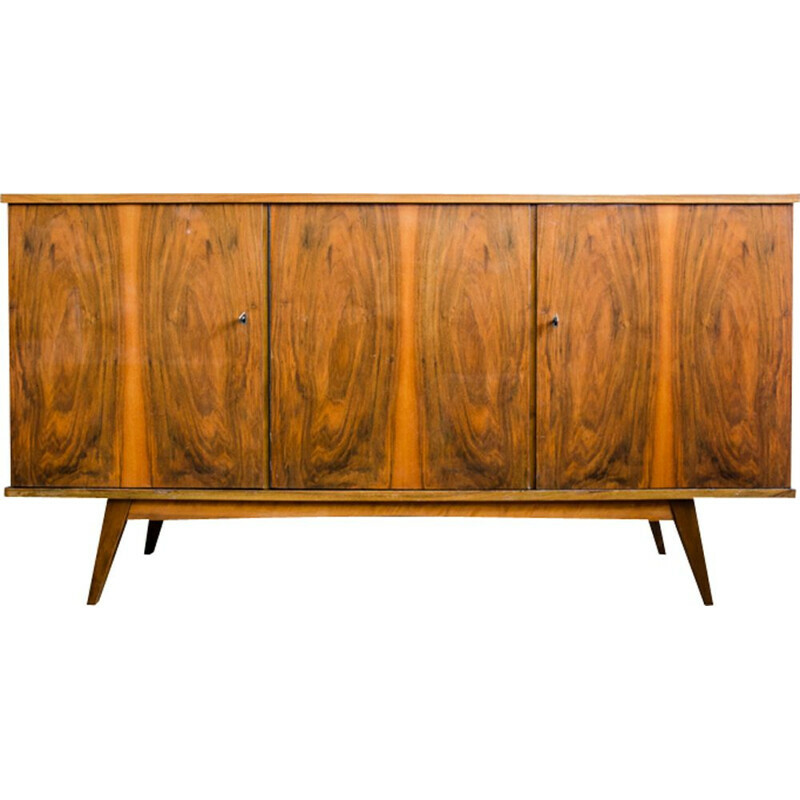 Sideboard from the 60s, a minimalist form. 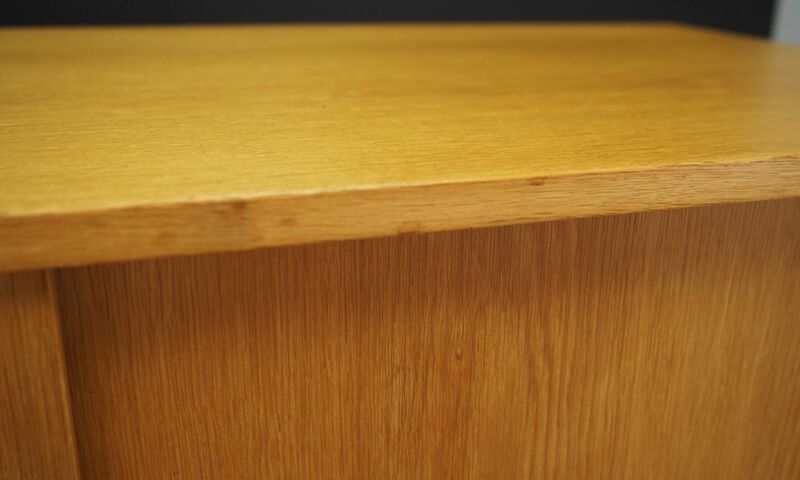 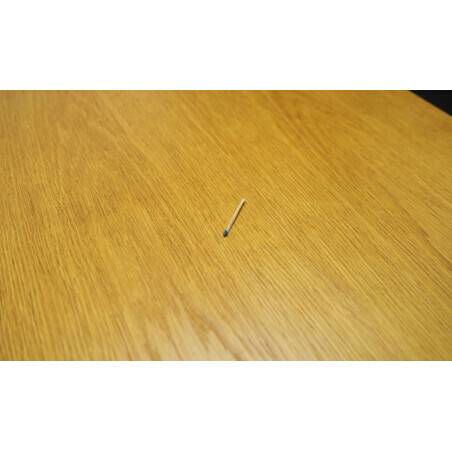 Surface finished with ash veneer, legs made of metal. 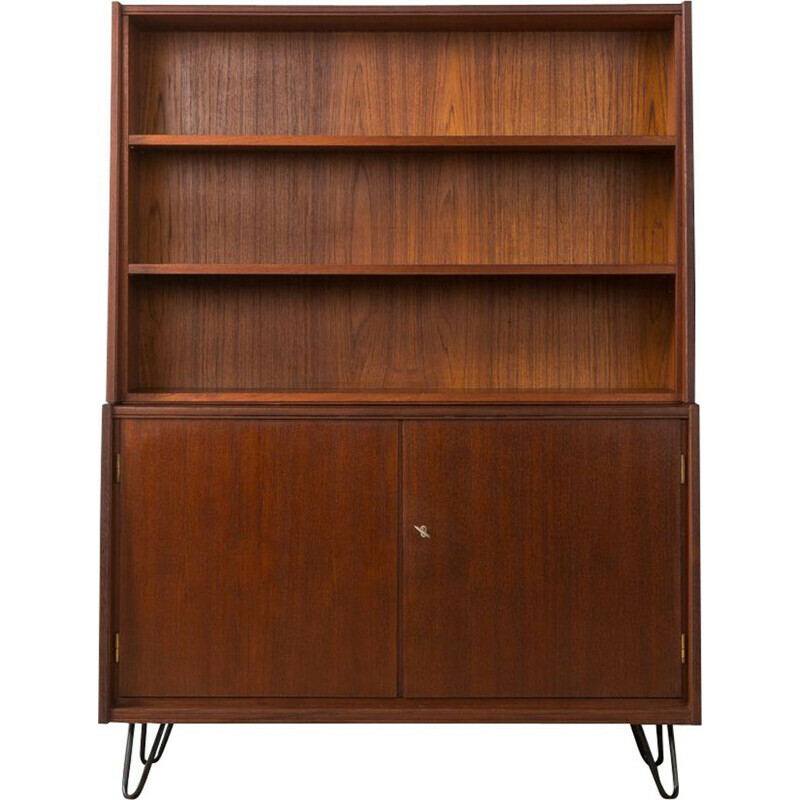 Roomy interior with shelves behind the sliding doors. 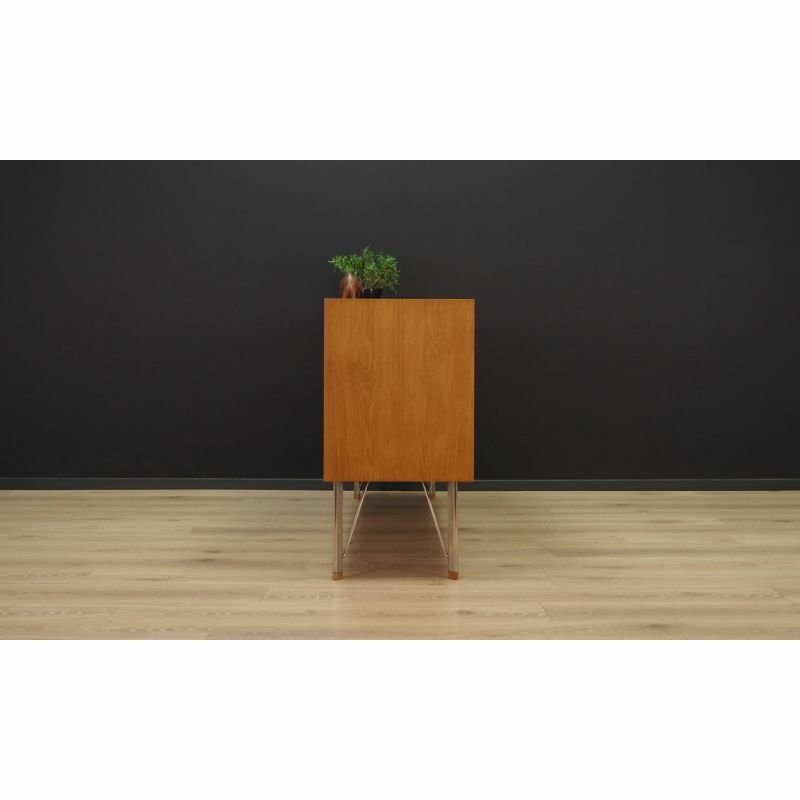 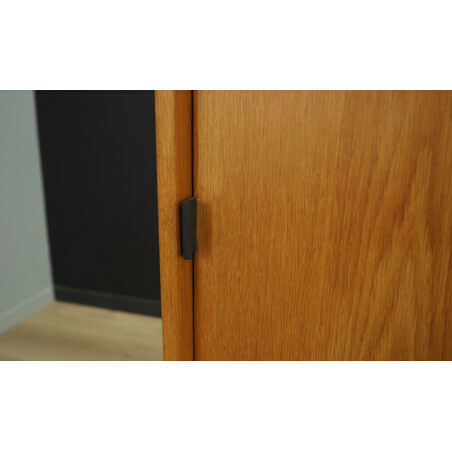 Preserved in good condition - directly for use. 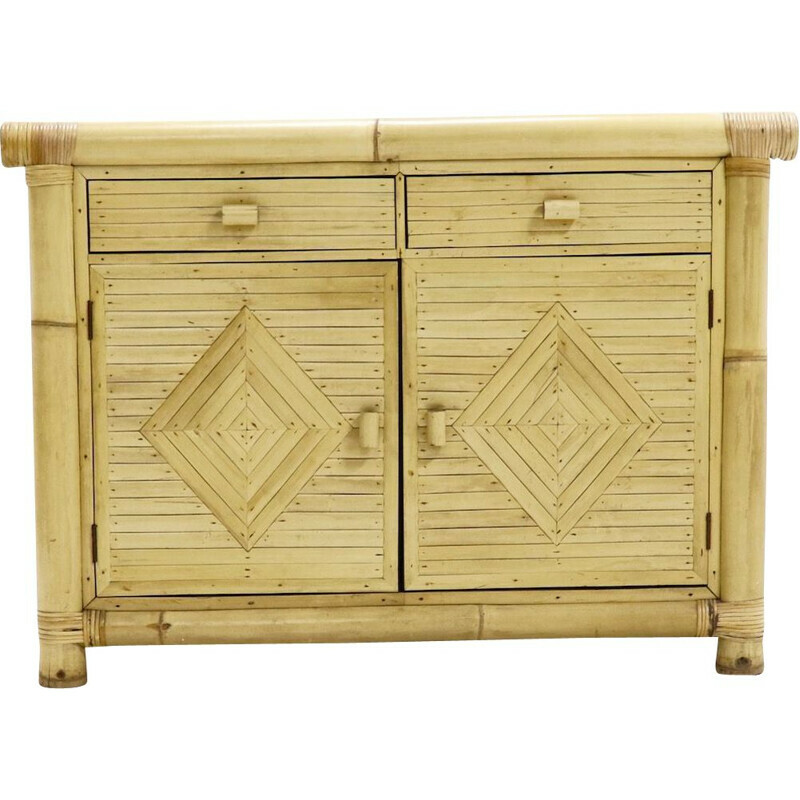 Dimensions: height 92 cm, width 170 cm, depth 48 cm.